Your harness is attached to a rope, the rope is attached to the middle of a cable that runs across the full width of the gorge. 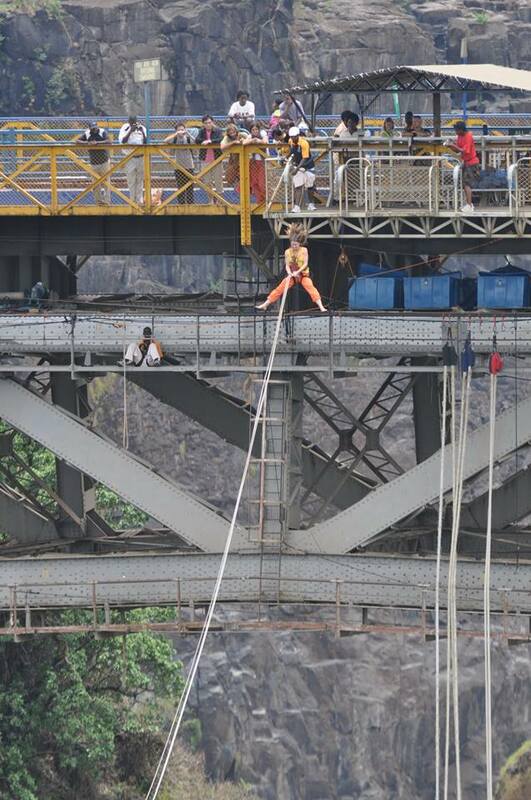 Once you are all set, you stand on a platform on the edge of the Victoria Falls bridge, say a quick prayer and jump off - How crazy is that, you jump off and free fall for about 0m straight towards the rocks and river below, then as the rope becomes taught you will start to arc and thankfully swing away from the river you were hurtling towards fractions of a seconds ago. Although it looks like the most insane thing to do, everyone who does it, is on such a high afterwards. 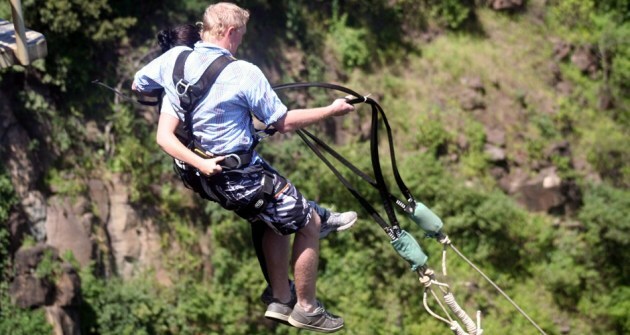 With the bridge swing, you can go at it alone, or you can do it with a partner and scream together as you take the 80 meter plunge...then once you've swung through the gorge, take in the sight of the Batoka gorge and the mighty Zambezi river below while you both get pulled up to the Victoria Falls Bridge. PLEASE NOTE: This activity is NOT suitable for persons who are either pregnant, epileptic, hypertensive or have a previous back injury. 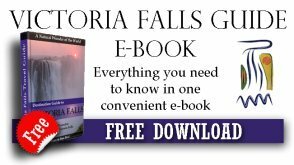 •	If you have loose shoes, you will need to leave them behind (lest they fall into the river) when you take your jump, but you can collect them afterwards.